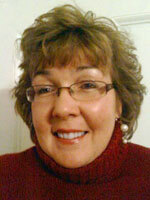 Michele Bolton is a freelance copy editor and researcher for The JFM Group LLC. She is a 20-plus-year reporter and editor with news organizations ranging from the Times Union in Albany, NY, to The Boston Globe and The New York Times. She has won national and state awards for spot news and deadline reporting including the Freedom of Information Medal from the National Investigative Reporters and Editors Association for an exposé of spending in New York State government. Michele was a Communication major at Southern New Hampshire University. Additionally, she was also an honorary fellow in 2005 for Law and the Courts at the Knight Center for Specialized Journalism at the University of Maryland. Michele is the president and owner of WordPlay, a company that offers a range of editorial services to clients from JFM to a major cranberry collaborative in Southeastern Massachusetts, a non-profit head injury center in Australia, and a new, innovative inspirational apparel company in Northern California.